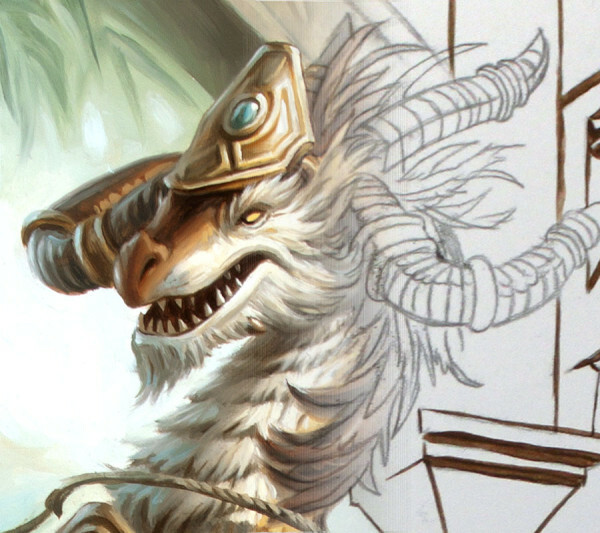 “Zios the Cloudburster” Detail close up. I first heard of Mike through the “Drawn Today” podcast. Although it was an audio podcast, I learned a lot about the man as an artist and his creative process. I had the fortune to of met Mike at Illuxcon 7 where he exhibited an amazing art collection. 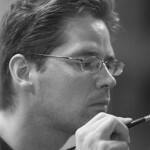 He is a very successful artist for Magic the Gathering, World of Warcraft, Star Wars, Pathfinder and Dungeons and Dragons. Mike’s work has appeared in the Spectrum annual, as well as featured in magazines such as ImagineFX and Fantasy Art (China). It is a true honor to have such an amazing talent in the first edition of Vision Illustrated.